There are different ways to interpret the reasons of how our collaborations have varied in the way and in the content, in each moment, throughout our particular history, that obey cultural patterns that we could extrapolate and generalize. – Precise. Apparently well documented: briefing, study of the market, productive needs, etc. – -Diffuse. Very little written. It is mainly based on an oral transmission of the need. The designer understands the need, assuming the stage as a framework of correct work and responds with his best creative contribution. The designer sees little beyond what was proposed by the client. I call this a COLLABORATIVE ECLIPSE. The designer sees with the eyes of the client and is satisfied assuming the proposed stage. – The designer, as he has only one vision of the need, interprets in a limited way the origin of the problem. – It does not know the final user and tries to give a solution that satisfies the client, in the form of a product, as a tangible object. – The designer sees with the eyes of the manufacturer. This is called as a “Manufacturist Approach” on the part of the client, when considering the convenience of developing a certain product. – The product is defined by the productive convenience of the moment, not by the final user. For the designer, the customer was the manufacturer, not the final user. The final user and their needs are the object of shared study by the client and the designer. Both can interact freely with the final user, to gather information needed and reorient their vision of the need to resolve. Client and designer are “accomplices” in this adventure. The product will be the consequence of this path traveled by both of them. It becomes aware that the final user and their needs are the object of study. If we manage to discover, anticipate and surprise the market with our proposal, we will be in a very advantageous position in the market, in front of competitors, etc. I call this perspective or GLOBAL VISION. – Introduce elements of innovation via concepts, materials, processes, etc. – Get to patent or protect in some way our effort and talent. Protection against competitors. – Break into the market being the 1st. Recognition and brand image. – Surprise through knowledge, creativity and talent. – Show criteria and completion to Create Trend – Move in spaces of little competition. Another way to see and explain the relationship and evolution between: Designer, Manufacturer and User could be explained as the transition from Industrial Design or “Product” Design to the “User Experiences” Design. / end user). This vision is fundamentally based on the fact that: “A magnificent execution of the product” is the greatest success factor in the market. “Quality” is sought as a strategic argument, among other reasons, neglecting the importance or role of the end user in all this. It is understood that the market will admire those “industrial values” that the product possesses. It is a “manufacturist” vision, based on a large-scale production, with very expensive models and processes, which require a lot of effort and a lot of amortization time. Processes are created with a lot of inertia, based on a supposed “long life” of the products in the market. The vision of Design based on “User Experience” is just the opposite. It is a vision of the exterior (end user / market) towards the interior (company). It assumes a certain imperfection of the products and the temporality of the solutions we give, because above the previous model is the user’s experience. We must be the first to intuit, interpret the needs of the user and be able to give an immediate response. We cannot act reactively to market demands, or justify that we are late because our processes are complex. If we wait to react when the market expresses “voices”, we will be late. We have to find a way to gather permanent information from the market to maintain a continuous “feedback” with the final user to be well focused. There are external factors that can revolutionize the customs and values of a society that is constantly changing. The same happens with the needs of users. The design of “User experiences” requires the designer to review and permanently adapt the product based on his intuition, contrasted with the response of the market. These changes implicate a transition or adaptation of previous models to the most current ones responding to the needs of a market with more changing and ephemeral values. It is for all this that ITEMdesignworks understands that this transition from the traditional model or “Manufacturist” to the model based on the “User Experience” is a path of no return. 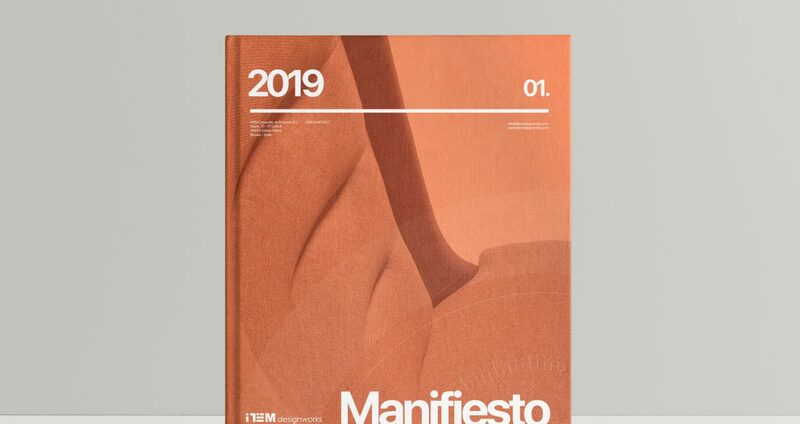 “We must be in a committed attitude to the study and the search of the needs of the market, in a less tangible and more agile way, with the intention of maintaining the permanent search of how to anticipate and surprise the user, offering positive experiences” Javier Cuñado, Director of ITEMdesignworks.